Corinne Berg was a little girl when she saw firsthand the devastating effects that breast cancer had on her family. Read the story of how Berg learned of her own risk for breast cancer and how she has used that experience to educate herself and others. In April 2018, Evan Beard received the shocking news that he had colon cancer. Evan’s local doctor referred him to Mayo Clinic where a multidisciplinary team and the right combination of chemotherapy and surgery made it possible for the young father to beat his daunting diagnosis. When Lena Spotleson sought treatment for unexplained stomach pain, the 26-year-old was shocked to learn she had late-stage cervical cancer. But the aggressive treatment Lena received at Mayo Clinic eliminated the cancer. Now, in an effort to help others, she’s sharing her perspective on being a cancer survivor. Thirty years ago, Brad Morris’ life came to a grinding halt when a rare, life-threatening tumor was found in his chest. Hoping for the best possible outcome, Brad sought care at Mayo Clinic, where he found expert oncology and surgical teams that gave him a chance at survival. As a Mayo Clinic physician, healthy routines were part of Cathy Madaffari’s daily life. Yet in 2015, the former marathoner and mom of three found herself in a surprising role reversal when, instead of being a doctor talking a patient through a tough diagnosis, she was the one facing cancer. Diagnosed with advanced colon cancer, Amy Figgs was told there was little that could be done. 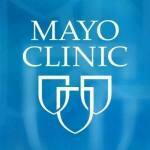 Unwilling to accept that, Amy sought a second opinion at Mayo Clinic. There her care team crafted a treatment plan that has renewed her hope for the future. With coordinated care from a multidisciplinary team and participation in a research clinical trial, Stacy Hanson is successfully combating a daunting breast cancer diagnosis. Thanks to a titanium implant constructed with 3D modeling technology, Isaac Garcia has moved past his diagnosis of bone cancer and is back to enjoying an active life with his family. Buoyed by her Mayo Clinic care team, Kellie Leasure, a 48-year-old mother of four living with metastatic breast cancer, embraces each day.